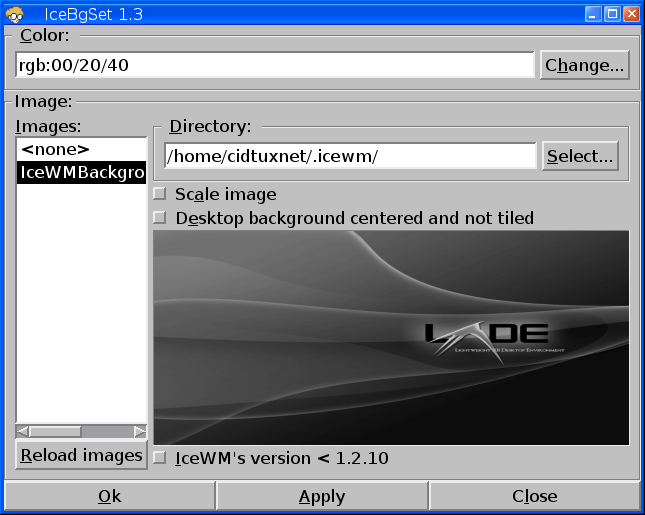 Based on Wikipedia, IceWM is a window manager for the X Window System graphical infrastructure, written by Marko Maček. It was coded from scratch in C++ and is released under the terms of the GNU Lesser General Public License. It is relatively lightweight in terms of memory and CPU usage, and comes with themes that allow it to imitate the UI of Windows 95, OS/2, Motif, and other graphical user interfaces". icewm-utils = tools to configure icewm. icewm-themes = archlinux icewm themes. 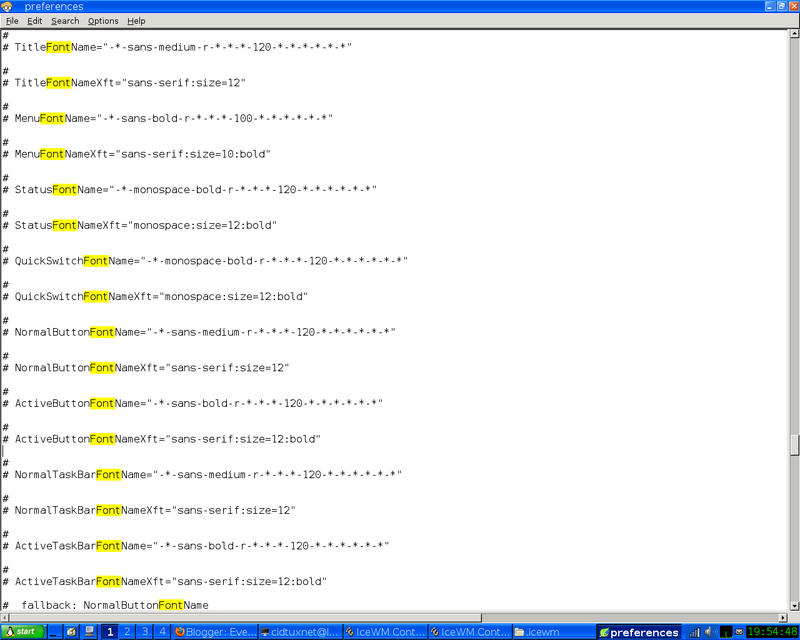 pcmanfm = icewm doesn't have file manager, so you can try pcmanfm. network manager = see here. This for auto mount your usb flash drive. 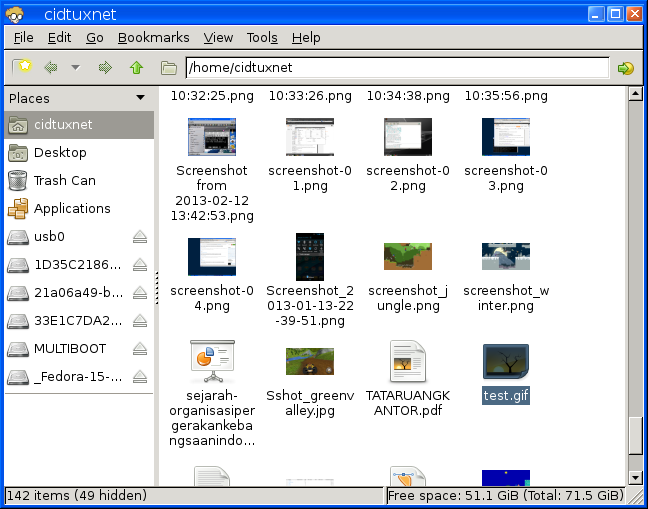 If you have installed the LXDE desktop. Then you just install icewm, mmaker, & icewm-themes. 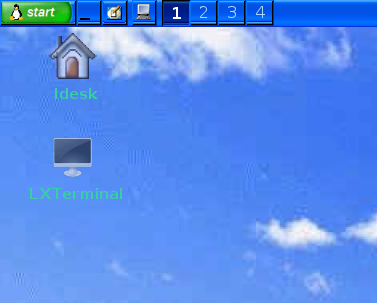 Okay after you install icewm then login to desktop. 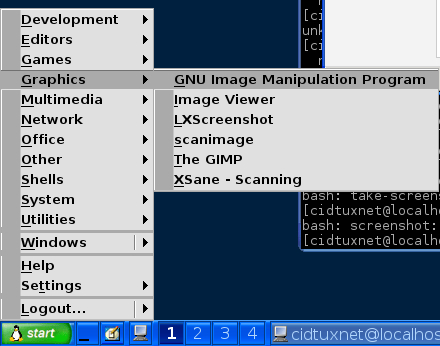 To Login using LXDM, GDM, KDM, lightdm-> icewm is automaticly detected, just choose the session icewm then login. For Slim, see the configuration here. Okay login to ICEWM. Here's some the icewm desktop themes. Okay here's the step to make ICEWM more comfortable. 1. Copy configuration folder to user folder. Do it by normal user. Logout or changing the theme to make effects. Now see on the start menu, the results is like this. Well it's not desktop environment, so it's different, to be able auto mount internaldrive, just add the partition into /etc/fstab/ see post here. To automount USB drive, see above, install usbmount from AUR. 4. Add icewm control center on menu. 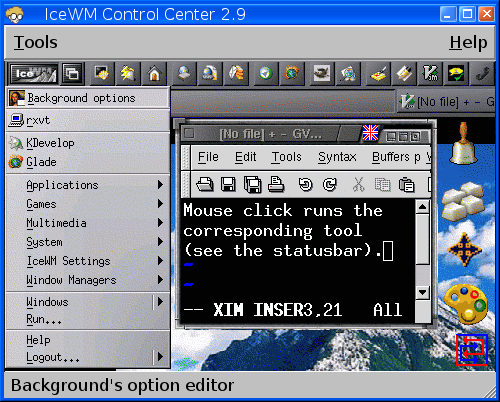 Run icecc on terminal, then choose menu editor. Open system or place that you want, then click add, insert your title, icons. For exec is "icecc", see below. It same as Point #4 above, choose on menu editor. Click on the app menu picture, then do like this gif animation to change the icons. But To change apps icon only can be change one by one.. :lol: enjoy. 6. Add Icons on File Manager (pcmanfm). Then insert the apps that you want to start automaticly. open icecc, then click on, background option editor. Then set your directory of your wallpaper, then choose the wallpaper. Then to strectch wallpaper, enable scale image, then apply. 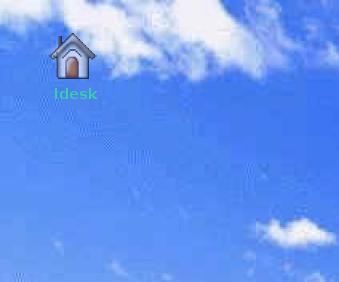 By default icewm doesn't have tools to create icons menu on desktop, but you can use idesk to do it. Logout and login to see the efects, and it should like this. 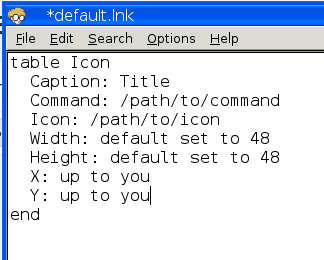 To add more icon, open .idesktop directory, then create file with this format. 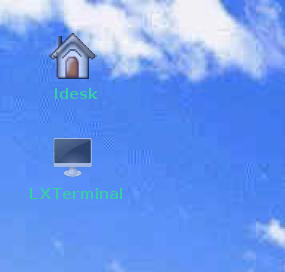 For this example, i create LXterminal icons. And save as yourfile.lnk files. 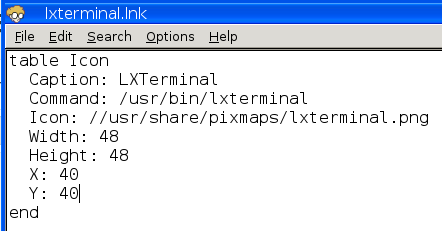 For that example is lxterminal.lnk, then logout and login. Here's the result. 10. Add Networkmanager & volumecontrol on system tray. Make sure you have installed the alsa driver. Then add the commands on point #7 above. 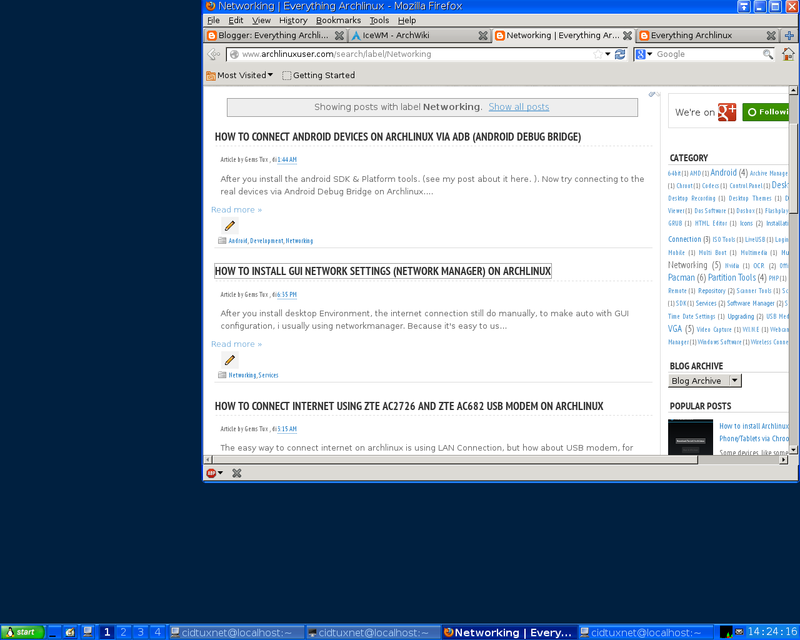 For network manager, add nm-applet command to point #7 too. For mixer. 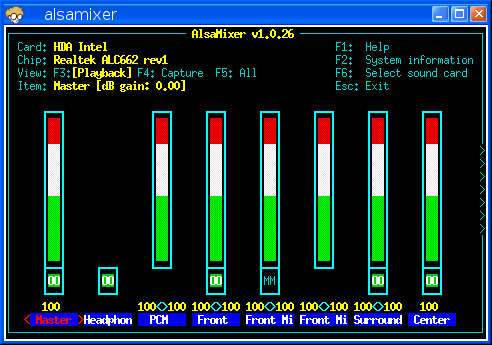 It will show up the alsa mixer. 11. 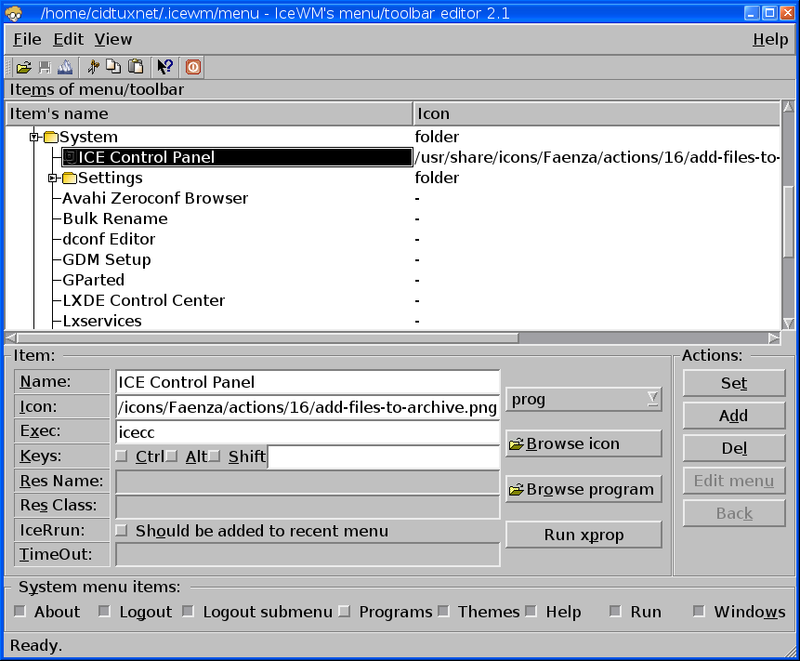 Modify Quick Apps on Icewm Panel. 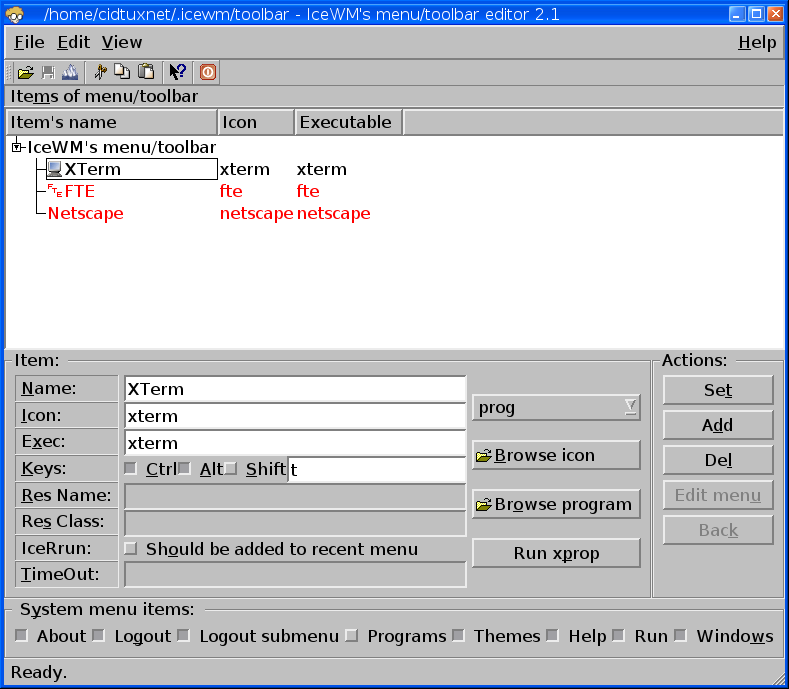 open icecc, then choose, toolbar editor. Then add the apps that you want. Search for fonts. Then change to your needs. And don't forget to uncomment them. then find this line. Uncomment the set to 1. And here for the results. Open start menu, then choose settings and then themes, there a lot themes that you can choose.